- Are You Guys Ready To Rock For The Humanity? We E - Square Events Are Bringing You The Best Concert To Remember. Soo Let Your Worries Goo And Get Ready To Dance On The Sizzling Tunes. A Charity Based Concert *Rock For Humanity*. Warning : A Concert is Too Hot To Handle♥. Official Radio Partner : Radio 1 FM 91 . 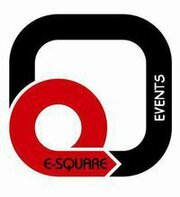 Powered By E - Square Events.